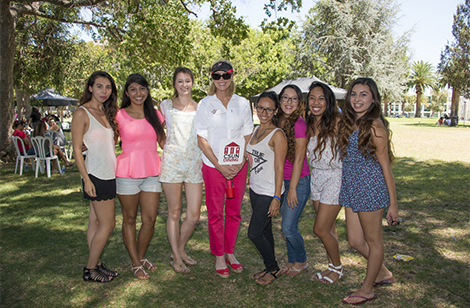 Since their senior year together, CSUN alumnae Stephanie Hopkinson and Senta Amos-Greene have remained supportive of each other as friends, students and colleagues. Read more about their work. CSUN’s Strength United gave the community a sneak peek at the new Family Justice Center, the first multidisciplinary violence response facility of its kind in Los Angeles County. The Los Angeles Business Council awarded CSUN’s Student Recreation Center with the outstanding architectural award in education. CSUN hosted numerous New Student Orientation sessions for more than 5,100 new Matadors who began their CSUN academic journeys this fall. Visit an online gallery.